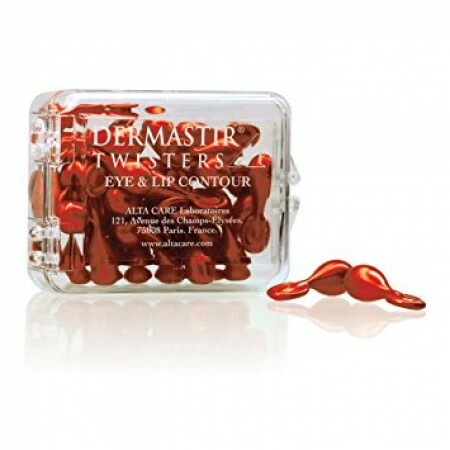 Dermastir Eye and Lip Contour serum is a high performance, anti-aging product based on a purified extract,Padina Pavonica . This extract is a meditterranean seaweed that is rich in water attracting molecules and fatty acids. It helps maintain moisture and keep the skin hydrated. This Eye and Lip Contour serum moisturises and improves the delicate skin around the eyes and lips, strengthening the natural defense system against free radicals and everyday irritants, like stress and pollution. Hydrated and revitalized, eye and lip contour regains its elasticity, suppleness and firmness making wrinkles less visible.